No longer listed among the poor and backward countries as of this year, Vietnam has become a middle-income country; however, the country’s economic growth is still unsustainable. 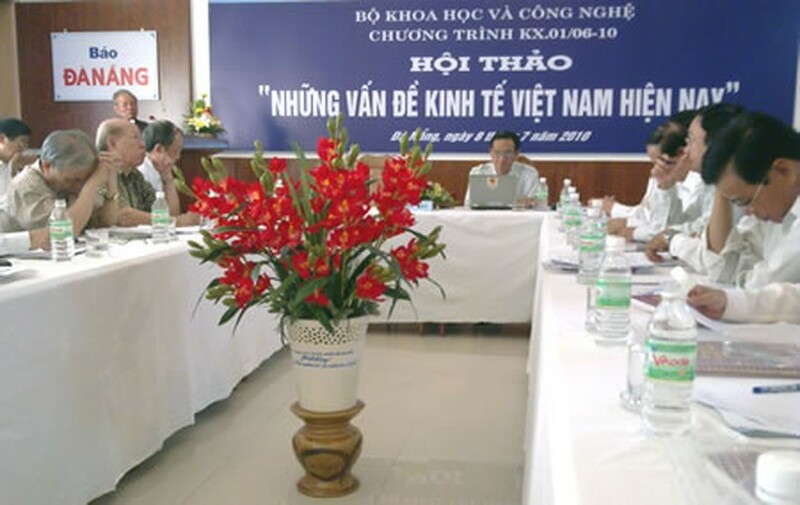 Economists at a seminar agreed to the statement on basic issues concerning Vietnam’s economic development, which was held jointly in Da Nang on July 8 by the Ministry of Science and Technology and the Vietnam Asian-Pacific Economic Center. Dr. Vo Dai Luoc said the growth is not sustainable because it depends heavily on the exportation of natural resources and low labor costs. The main issue now facing Vietnam is to develop an economic growth model that ensures in-depth development, he added. Many economists have stated that to become a developed country, Vietnam needs to design long-term and appropriate development strategies. Such measures would include restructuring the economy, reviewing the operation of State-owned companies, giving the role of the private sector more prominence, reformulating strategies for developing a sea-based economy, ensuring a harmonic relationship between economic growth and environmental protection, and developing strategies to exploit its natural resources.